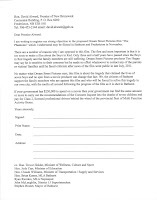 (Bathurst, NB - August 9, 2011) - Two Bathurst mothers have started a Facebook and letter writing campaign to force the Department of Education to reverse a decision by the District 15 Superintendent John McLaughlinn to allow Dream Street Pictures to film "The Phantoms" on the premises of Bathurst High School. Ana Acevedo says the people of Bathurst want their voices to be heard by the bureaucrats and politicians who are making important decisions without consulting the community. "We just started yesterday and already we have over 50 individual letters signed by people who agree this film should not be made in Bathurst," said Ana Acevedo, who along with Isabelle Hains has spearheaded a letter writing campaign to the Premier of New Brunswick, David Alward. The letters will be collected, copied and mailed to Hon. Trevor Holder, Minister of Wellness Culture and Sport, Hon. Jody Carr, Minister of Education, Hon. 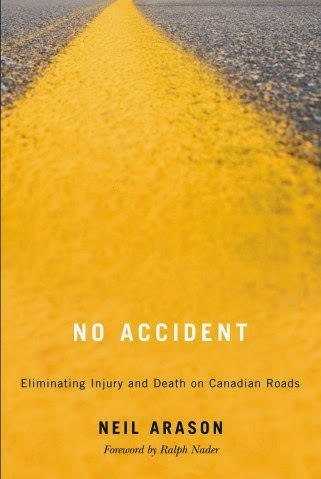 Claude Williams, Minister of Transportation and Supply and Services, Hon. Brian Kenny, MLA Bathurst, Ryan Riordan, MLA Nepisiquit, John McLaughlin, District 15 Superintendent and the Mayor of Bathurst. "We, who have few resources and less money than the government and Dream Street Pictures have consulted with more people than they in the last two weeks and the people are behind us 100%," said Acevedo. She says the "so called consultation" with stakeholders that was undertaken last week by John McLaughlin, District 15 Superintendent, was a "farce" and the decision to allow the film to be shot in Bathurst should be reversed. "I was called by someone from the High School who asked me two questions," said Isabelle Hains. "Why are you against the film and why don't you want it to be made in the High School? This is what they call a consultation?" she asks. "Everyone we speak to agrees that this film should not be made because it's just too soon," said Hains. "The support we are getting is really encouraging and gives me faith in the people of Bathurst who agree that it's not the time nor the place to make a film about the Boys in Red." Hains said she received an email this morning from a Bathurst woman who told her to keep up the fight: "We were all there that night," the woman wrote. "Maybe they need to know more from those of us who never want to relive this or have others suffer anymore than they already have. I am with you on this one Isabelle." 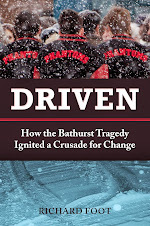 Hains and Acevedo are also making a complaint to the province's Ombudsman asking him to reverse John McLaughlin's decision to go ahead with filmming the movie The Phantoms on Bathurst High School property. The complaint is in process and will be laid later this week in Fredericton. Anyone interested in joining the FACEBOOK letter writing campaign can go to the Van Angels.ca Facebook page or to the www.VanAngels.ca website to download the form letter.